For years, researchers have been warning that hosing crops in pesticides, fungicides and herbicides. 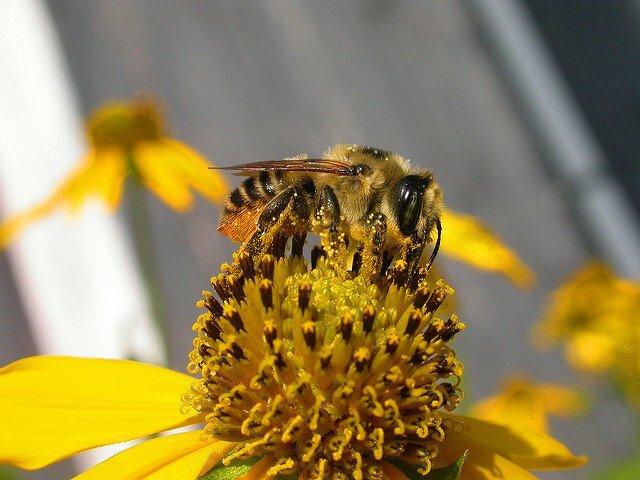 Maryland is opening a new chapter in the global effort to save bees by putting restrictions on a class of toxic pesticides. In the past 6 years, the mysterious bee disease Colony Collapse Disorder has wiped out 10 million beehives in the US. This is alarming because bees are essential to the cultivation of at least 30% of the world’s crops including: apples, oranges, lemons, limes, broccoli, onions, blueberries, cherries, cranberries, cucumbers (and the pickles made from cucumbers), cantaloupes, carrots, avocados and almonds. They also make yummy honey. Clearly, the preservation of bees is in the interest of humanity. So how have the US agricultural industry and federal and state regulators responded to this dire development? They haven’t. The EPA is currently conducting its own review of evidence and will release findings by 2018. This follows a familiar pattern. Rather than heed scientific warnings and take precautions, industries and regulators wait until the evidence is indisputable until action is taken (think cigarettes and lead in paint). For years, researchers have been warning that hosing crops in pesticides, fungicides and herbicides endangers bees. This makes intuitive sense: after all, YOU wouldn’t want to ingest food covered in chemicals. 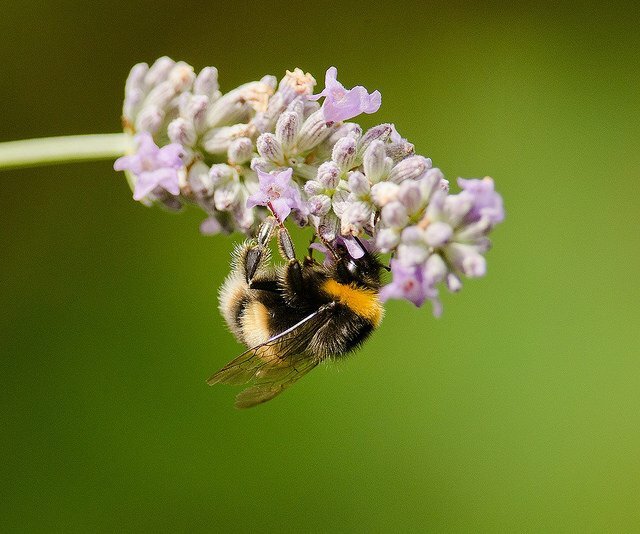 In particular, a potent strain of pesticides called neonicotinoids have been identified as hazardous and have become Public Enemy No.1 for those interested in saving bees. Since this initial discovery, researchers have demonstrated that dozens of pesticides and fungicides contribute to colony collapse disorder. Basically, this toxic cocktail weakens a bee’s ability to function and makes it susceptible to deadly parasites. Colony Collapse Disorder involves entire bee hives dying, suggesting that either some contagion is rapidly passed along or a common food source is dangerous (or both). The EU reacted to the findings on neonicotinoids by declaring a moratorium on the products, during which further research would be conducted. Meanwhile, just 1 US state managed to muster up legislative support to ban this class of pesticides: Maryland. And the State’s ban doesn’t go into effect until 2018. And the ban only concerns personal use of the pesticides. 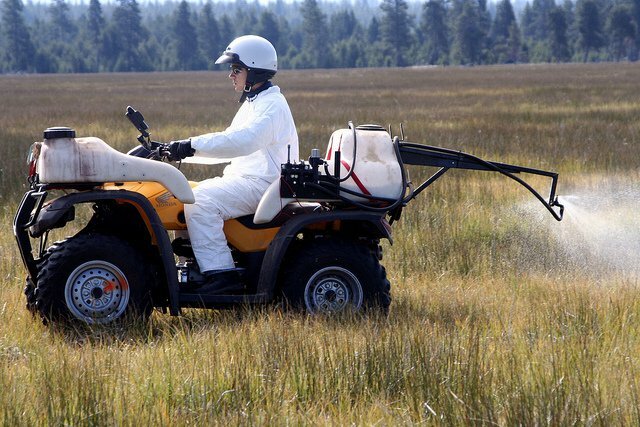 Farmers who “better understand how to apply” the pesticides will be exempt. Maryland was motivated by a last-resort impulse. 60% of the state’s bee hives hosting 20,000 bees or more disappeared from the disease last year. States have been slow to act for a few reasons. First, the global insecticide industry brings in $15 billion USD in annual revenues. And second, farmers depend on pesticides because of steps taken in the past. Historically, farmers practiced polycultural agricultural and regularly rotated their crops, which nourished the soil and allowed plants to share strengths with one another. This symbiotic relationship created natural defense systems that allowed crops to grow without artificial intervention. Today, most agriculture is monocultural, crop rotation rarely happens and the crops that are planted are usually weak. This depletes soil and makes plants susceptible to bugs, fungus, pathogens and other threats. Consequently, farmers depend on pesticides as an expedient way to achieve what had been achieved naturally in the past. This is compounded by climate change which has introduced new threats to crops. Transitioning back to the old model is possible but it would take some time. For companies trying to profit, it would take too long. The question they need to be asking is: Is the preservation of monocultural agriculture worth the destruction of the world’s bee populations and the potential long-term decline of agriculture? In the months and years ahead, legislators across the world have to take this question seriously and begin to pass laws that protect a species vital to the delicate balance of the planet’s ecosystems.